Artist: Singers and Songwriters. Title: Various. Format: CD. Condition (Sleeve/Disc): New. Format: SACD. Title: The Ultimate Demonstration Disc. Artist: Various Artists. Record Label: Chesky Records. Young Girl's Heart. Condition: New. Angel of Harlem. Speak Like a Child. Artist: Rockin' the Spirit. Title: Various. Format: CD. Release Date: 18/12/2008. Format: SACD. Title: World's Greatest Audiophile Vocal Recordings. Genre: Jazz. Artist: Various Artists. What's a Little More Rain - Sara K. 'Round Midnight - Kenny Rankin. Girl from Ipanema - Rosa Passos. Title: Night Songs. Artist: Various Artists. Format: CD. 24 Hours of Love - Rebecca Pidgeon. Condition: New. 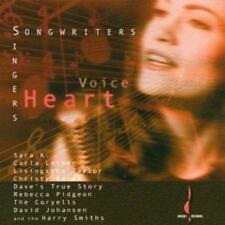 After the Rain - Larry Coryell. Blue Bossa - Ana Caram. UPC: 090368027023. Title: World Sampler. Artist: Various Artists. Format: CD. Genre: International. Condition: New. Purple Bamboo - the Chinese Music Ensemble of New York. Record Label: Chesky Records. Three Venezuelan Waltzes - Paquito D'rivera. Title: The Body Acoustic. Artist: Various Artists. Format: CD. Condition: New. East Harlem. Title: Romance In Rio. Artist: Various Artists. Format: CD. Condition: New. Club de Dol [From Club de Sol] - David Chesky. Berimbau [From Because of You] - Kenny Rankin. Samba de Orfeo [From Non Stop to Brazil] - Luiz Bonf. Title: Chesky Woodwinds Collection. Record Label: Chesky Records. Artist: Various Artists. Format: CD. Early Autumn - Chris Potter. Condition: New. The Search - Paquito D'rivera. Rainbow Shadows - Eddie Daniels. Title: You're Surrounded. Artist: Various Artists. Format: CD. The New Appalachians - Wafairing Stranger - the New Appalachians. The New Appalachians - John Henry - the New Appalachians. Item Condition: New and unplayed. Title: Rockin' The Spirit. Artist: Various Artists. Format: CD. Condition: New. Nobody Knows the Trouble I've Seen/No Woman, No Cry - Monty Alexander. Glory Glory Hallelujah. Amazing Grace - Bob Seeley. Title: Singer Songwriters. This is an eclectic array of original compositions and unique interpretations from the archives, featuring your favorite Chesky singers and songwriters, both old and new. Artists featured: Carla Lother, Sara K., Rebecca Pidgeon, "David Johansen and others. 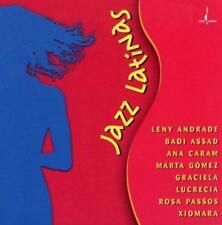 Genre: Latin Jazz Vocals. Artist: Various Artists. Format: CD. Condition: New. Garota de Ipanema - Rosa Passos. Blue Bossa - Ana Caram. Dindi - Leny Andrade. Sorriu Para Mim - Rosa Passos. Title: Tango Bar. Genre: Tango, Argentinean. Artist: Various Artists. Format: CD. Condition: New. La Ultima Curda. Pa' Que Bailen los Muchachos. Por Una Cabeza. Artist: Various Artists. Format: CD. Condition: New. Batucada (Nos E O Rio) - Badi Assad. What You Don't Know - Sara K. Spanish Harlem - Rebecca Pidgeon. Sonhando - Ana Caram. Brick House - Sara K.
Un Poco Loco - the Conga Kings. Como Dos Extranos - Tango Bar. Genre: Latin Jazz. Artist: Various Artists. Format: CD. I Do Everything for Love - Chuck Mangione. Condition: New. Manha de Carnival - Leny Andrade. Dr. Chesky's Sensational Fantastic And Simply Amazin Binaural Sound Show! Rest of the world - £5.00. Various Artists - Best Of New York Sessions, Vol. 2 [New SACD]. Format: SACD. Title: Best Of New York Sessions, Vol. Artist: Various Artists. Condition: New. If I Were a Bell. Witch Hunt. Artist: Music For A New World. Title: Various. Format: CD. Release Date: 22/12/2008. Artist: Various Artists. Title: Live From Studio A. Suite Dreams - Tom Harrell. Format: CD. Condition: New. 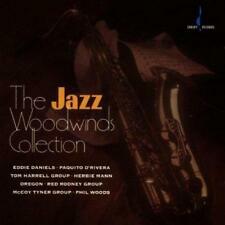 Loose Change - Phil Woods. Samba de Orfeo - Luiz Bonf. 'Round Midnight - Kenny Rankin. 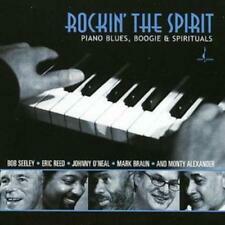 Various Artists, Rockin' the Spirit - Rockin' the Spirit : Piano Blues Boogie & Spirituals [New SACD] Hybrid SACD. 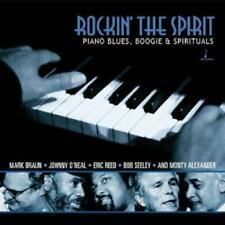 Title: Rockin' the Spirit : Piano Blues Boogie & Spirituals. Artist: Various Artists, Rockin' the Spirit.